Thank you for visiting my website. Here you will find information, media, and experiences pertaining to my 2001 Audi S4. There will also be pages supporting other vehicles and interests of mine. Please check back as this page is currently under construction. This is my first attempt at any sort of webdesign, so please bear with me. *02/26/2006* UPDATED...New "Road Tests" section and videos added! *06/28/2005* UPDATED...180+ MPH Top Speed S4 Video Added! *06/25/2005* UPDATED...Finally! Many new pages and additions, so please look around! *02/09/2005* UPDATED...NEW ASP Tru-Dual Exhaust Video posted! *11/03/2004* UPDATED...New photo gallery layouts and pictures! *10/15/2004* UPDATED...New Pictures and Videos! *06/07/2004* UPDATED...Lots of new mods and new videos! *02/13/2004* UPDATED..."Jeeps Love Snow" Video Complete! Please see Video section for details. 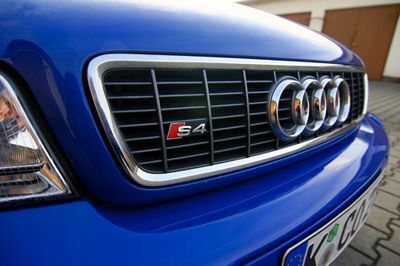 *12/01/2003* UPDATED...Videos added to media section, pics added to Audi S4 section. *11/17/2003* This site is brand new and there isn't much content. I will start working on the S4 pages and move out from there. All videos and pictures were obtained under closed course conditions with professional supervision. The owner of this site advises all motorists to stay within the bounds of the law. All tips, advice, and information within this site are simply an account of the site owner's experiences. No guarantees are implied. Site owner is not responsible for any consequences resulting from imitating or following anything seen or suggested within this website.